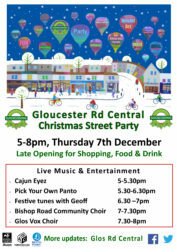 Our Christmas Street Party took place Thursday 7th December from 5 -8pm and was an event for all the family. 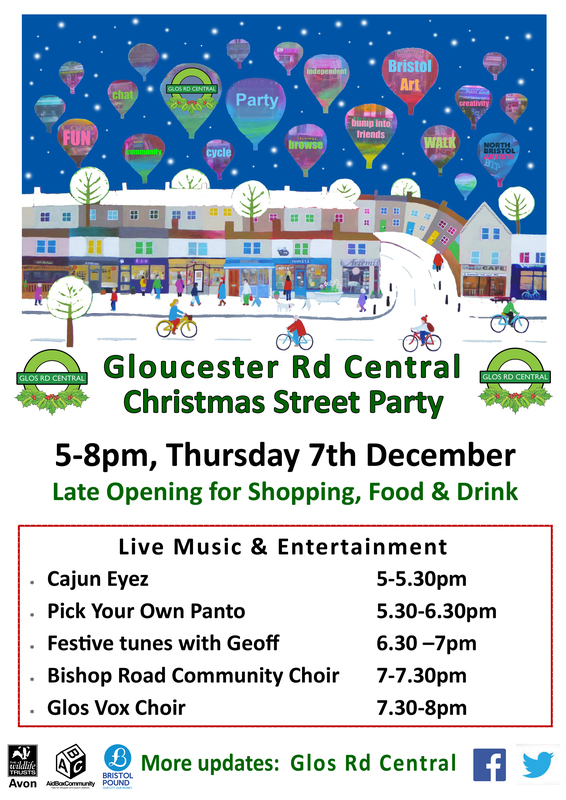 Traders on the central part of Gloucester Road, around Room 212, stayed open into the evening to allow shoppers a leisurely browse. 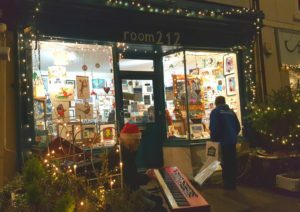 Room 212 had live music from local band Cajun Eyez from 5pm outside on the pavement, followed by Christmas tunes on the keyboard from 5.45 and festive singing from Bishop Road and Glos Vox community choirs at 7pm and 7.30pm. There was pop up panto from the Bristol Improv Theatre and a chance to exchange your cash to Bristol Pounds. Mulled wine or cider and Italian sausages and burgers were at various points along the road. Aid Box Community had a stall to spread the word about being trees for refugees and Avon Wildlife Trust was there too. Joes Bakery offered tasters of all their Christmas goodies. There were illustrated kids books outside Odd Sox and paper decoration making outside Paper Plane. 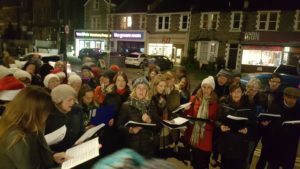 This was a lovely time to get into the festive mood family, friends and neighbours.